Moving? - Guru Security Inc. 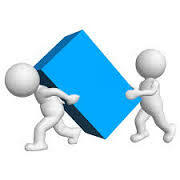 It is a very stressful time with new moving related tasks as well as your regular day to day tasks. It is also the best time to review your security needs. We understand your due diligence requires getting competitive security system bids. We would like to help. Strick deadlines to meet. Guru Security Inc. has a history of meeting tight deadlines. We would like to get started by offering a Free On-site security audit. Call 647-693-0124 now. Why choose Guru Security Inc.? Check out our 5 Star Google review rating. Just Google Guru Security. Our proposal will consist of more than a one page equipment list and total price. We believe in a documented scope of work so you know exactly what you are agreeing to. You will work directly with the owner of the company through all aspects of the sales, installation and service on your site. Our systems include video surveillance cameras, burglar alarm and monitoring, access control and automated gates.